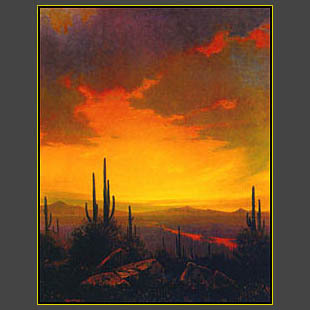 This is a high quality Limited Edition print of a sunset over the desert in Arizona. The paper is 100% acid free heavy stock. 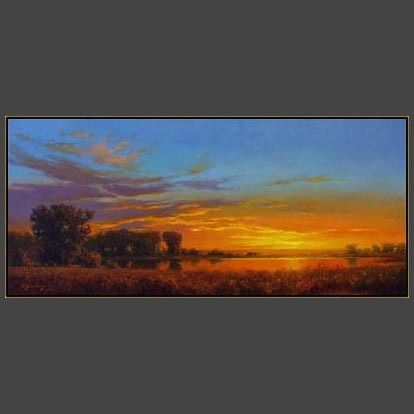 The image is a seven color run to achieve the vivid colors typical of Jennings' style. This is a signed and numbered edition of 300 prints. They have been signed and numbered by the artist in gold ink on the lower right.